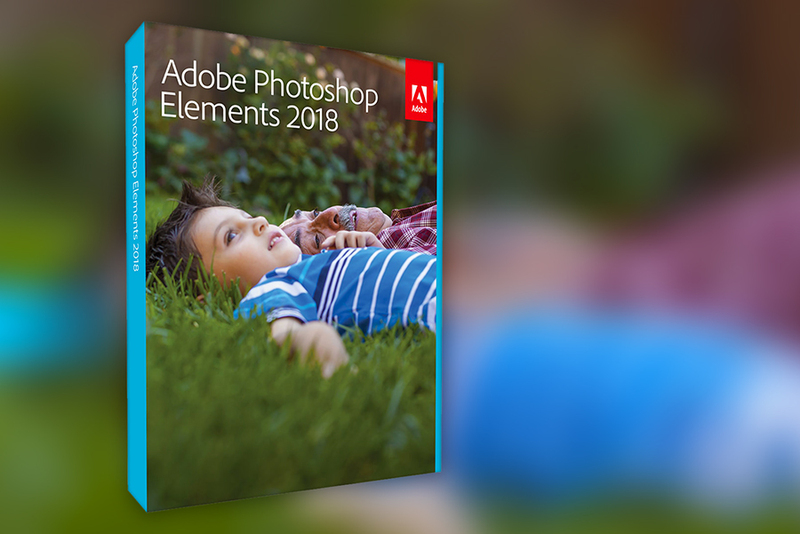 Adobe has just announced the newest release of its consumer photo and video editing applications, Photoshop Elements and Premiere Elements 2018, for Mac and Windows. In the professional editing industry, Adobe has been one of the few top names for many years. Adobe Photoshop, Premiere Pro, and After Effects are found in virtually every studio. The Elements versions are for those editors who want to make creative and polished photos and videos, but quicker and easier than possible in the pro versions, and they’re designed with the weight and sophistication of Adobe’s resources and experience. In as little as just minutes or even less, you can have beautiful photos and videos (including batches of photos) ready to be shared on social media, printed, or burned to DVD. They’ll be complete with all the right parts highlighted, issues that need fixing fixed, titles, music, menus, and more. Advanced one-click features, like Whiten Teeth and Open Closed Eyes, will ensure that your subjects come out looking impressive. There are also special side features for creating calendars and greeting cards that you can print at home or send to a professional printer, scrapbooks, and photo and video collages. Photoshop Elements and Premiere Elements are powerful and comprehensive solutions for moments we capture during family vacations, kids’ school recitals, and similar adventures and events. They’re also great for YouTube videos and vlogs, sales presentations, and the like, as well as for beginner enthusiasts. Both support high-resolution files and popular file formats, so you can work with your high-megapixel and 4K smartphone, DSLR, action cam, or any other camera. A major feature is that the two programs integrate well for those who like to shoot still photos and videos. They have a similar user interface and similar workflow, and share the same file manager, an exceptional stand-alone tool called the Organizer. Not many editing applications have such a self-contained file manager. Normally, you’re limited to importing files and selecting them as needed, but the Organizer kind of has a mind of its own. It takes all the hundreds of photos and videos on your computer, automatically arranges them in one place by criteria such as dates, people, places, and faces, and gives you a visual view of them all. It additionally allows you to tag them as you like, including by tagging faces using your Facebook friends list. The same Organizer appears in both applications, so one can jump between the two programs and have access to the same media in both. There are also other features that are found in both applications, such as Slideshow, and the Organizer allows these features to work cross-platform. For example, click a few buttons, and Slideshow will dig into the Organizer and produce a fancy, animated slideshow of your best photos and short video clips, along with a theme. Once it’s done, you can make manual adjustments, adding/removing photos and videos as you like. The overall workflow in both applications is largely based on one-click tools that are also highly automated, like the Guided Edits. In Photoshop Elements, one-click tools allow you to add effects, looks, border frames, and textures, turn photos into illustrations, paint on effects, add photo text, make panoramas, and much more. You can also let Photoshop Elements analyze a photo and suggest five effects that it thinks would be ideal for your photo. And you can make many different corrections to perfect your photos, such as turn frowns into smiles, open closed eyes, whiten teeth, remove “pet eye” discolorations, remove camera shake in selfies, and remove haze in landscapes. A lot of this can also be done to batches of photos at a time. Both Photoshop and Premiere Elements 2018 allows one to share creations with friends and family on social media right from the interface. Also, even with all the automated and easy-to-use features, you can still get help right within the interface via eLive. And that’s Photoshop Elements 2018 and Premiere Elements 2018 in a nutshell. They’re offered individually, as well as combined in one package for those who want both. Create beautiful photos and videos in seconds.